Coresystems is an award-winning cloud-based mobile business solutions company. The company builds innovative platforms, tools and applications that enable small, medium and large companies to effectively manage their business processes and better serve their customers. The cloud-based solutions are complemented by integral services in the ERP area. The company is a specialist in international rollouts of SAP Business One – an ERP solution with complete functionality, limited costs and unlimited applications. 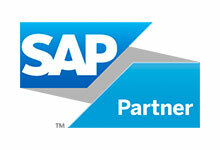 SAP Business One offers an incredibly simple integration of SAP ECC or third-party providers (EDI).